Wicked, Immoral, Utterly Bad! Chicago theatre fans rejoice! "Laid out with the dynamic of a good graphic novel..."
"More than a well-researched reference..."
"The photos collected are a treasure trove..."
"Chicago historians and theatre fans, rejoice!" 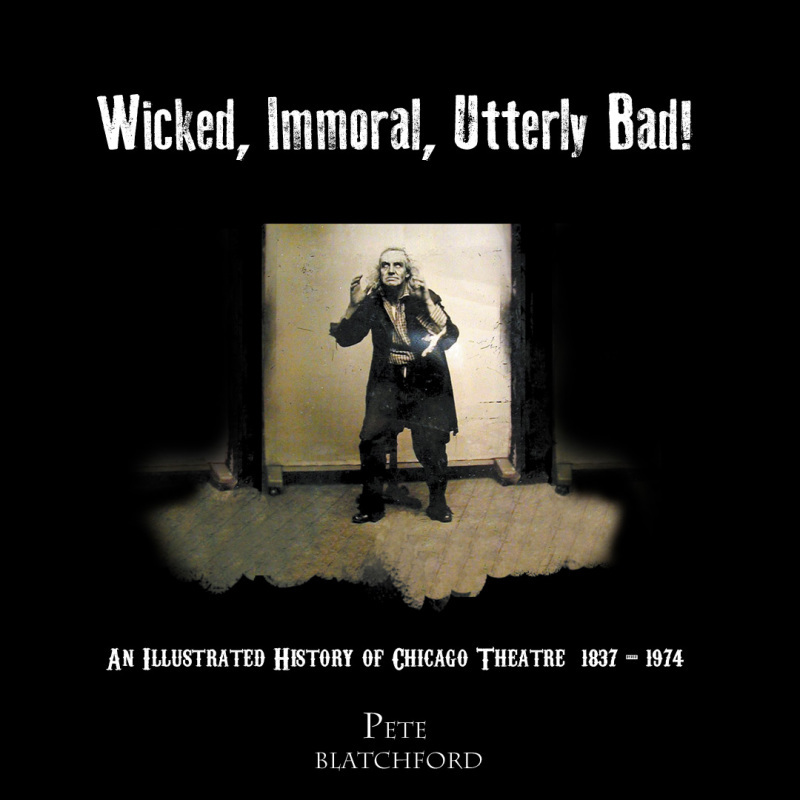 A graphic, illustrated coffee table book chronicling the urban history of local dramatic theater in Chicago. Readers discover Joseph Jefferson, the namesake of the Chicago Jeff Awards and the Jeff Recommended plays in Chicago, James McVicker and the founders of early theater in Chicago, architecture and the effects of the Great Chicago Fire, The Iroquois Theatre Fire, the social outreach and theater of Hull House led by Jane Addams and later Robert Sickinger and Paul Jans, the experiment of Maurice Browne and the Little Theatre movement with Ellen Van Volkenburg, off-Loop theater and its inspiration to create countless Chicago theatre companies, Charlotte Chorpenning, Winifred Ward, Alice Gerstenberg and the growth of children’s theater, the Federal Theatre Project in Chicago with Harry Minturn and Shirley Graham, experimental theater, the history of Chicago style improvisation with influence from Neva Boyd, Viola Spolin, David Shepherd and The Compass Players, Paul Sills, Bernie Sahlins and the famous risk-taking improv comedy of The Second City along with its contributions to Saturday Night Live. Discover The Body Politic Theatre of the Reverend Jim Shiflett, The Organic Theatre with Stuart Gordon, The St. Nicholas Theatre with David Mamet, and the history of long standing performance spaces like the Goodman Theatre and original venues like Bill Pullinsi’s Candlelight Playhouse, the first dinner theater in America. Replete with a unique collection of photography, graphics, playbills and memorabilia from Chicago’s famous theater scene. Enjoy!